Scientists who hunt exoplanets smell victory. They’re discovering smaller and smaller rocky planets, getting closer to completing the Copernican revolution. Many people are bullish on the chances of an Earth-twin waiting somewhere out there in the cosmos—out of reach, but just for now. Our current telescopes aren’t powerful enough to prove that a promising exoplanet is Earth 2.0, but we can estimate the prevalence of suitable candidates. As it happens, finding planets that might be Earth 2.0 (Earth-sized with Earth-like orbits) was the sine qua non for NASA’s Kepler mission. A few weeks ago, a headline-grabbing study became publicly available on the website of the Proceedings of the National Academy of Science. Led by Erik Petigura, a graduate student at the University of California, Berkeley, the authors mined the Kepler data for planets, focusing on >42,000 Sun-like stars (G and K types) with high apparent brightness in Kepler’s sample. Along with re-discovering hundreds of candidates from the extant Kepler list, they found several new planet candidates with long periods. Correcting for Kepler’s sensitivity, they computed the frequency of Earth-sized (~1-2 Earth-radii) planets with long orbital periods (<400 days). Overall, Petigura et al. find that 11 ± 4% of Sun-like stars have at least one Earth-sized planet orbiting at a distance where it receives ~1-4 times the stellar radiation that Earth receives at the top of its atmosphere. Kepler’s main mission is over, but this estimate will be continually revisited and likely revised for many years. Petigura et al. wrote their own data analysis program (a “pipeline”) to identify transit events. Using quantitative criteria and visual inspection of >16,000 (!!) candidate light curves, they discovered or re-discovered 603 planet candidates. Roughly 10% of these detections are likely false positives—systems that masquerade as an Earth-sized planet orbiting a Sun-like star, but are actually quite different (a Neptune-size planet orbiting one star in a binary system, for instance). High-resolution spectroscopy from the Keck Telescope allowed the authors to measure stellar radii, and thus planetary radii, to within ~10% for all of their planet candidates with orbital periods >100 days. 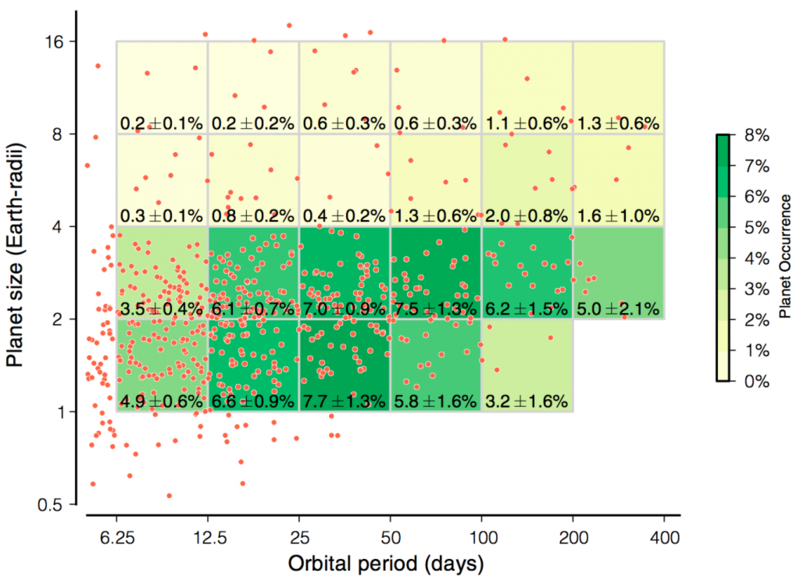 Figure 1 shows their planets (red dots) plotted against orbital period and planetary radius. They calculated the percentages of Sun-like stars that host planets within 23 bins (yellow/green boxes) of period/radius space. Figure 1 (Petigura, et al. 2013, PNAS): The 603 planets discovered in the Kepler data are shown as red dots. The authors calculated the percentages of Sun-like stars that host planets in 23 binned regions of period/radius space (yellow/green boxes). Quoted uncertainties simply represent the formal errors associated with binomial (i.e., counting) statistics. Extrapolating from the abundance of large planets with short (<200 days) periods, the authors calculated that ~6% of Sun-like stars have Earth-size planets with orbital periods of 200-400 days. Since the stellar irradiation a planet receives is inversely proportional to the square of the planet-star distance, the authors claimed that 22 ± 8% of Sun-like stars have Earth-sized planets that receive 0.25-4 times the amount of stellar radiation that Earth receives. This corresponds to orbital separations of 0.5-2.0 AU, where 1 AU is roughly the Earth-Sun separation. Planets in the “Habitable Zone”: Are they like Earth or just “Earth-like”? Ultimately, everyone wants to characterize the atmospheres of Earth-sized planets—quantify their thermal structures and chemical compositions, look for water and oxygen, all that jazz. We can’t do any of that, at least not yet. But we can measure their orbital separations. Wouldn’t it be nice if orbital separation, which corresponds to the amount of stellar radiation a planet receives, determined atmospheric properties, and thus surface conditions and habitability? This is where the idea of a “habitable zone” comes in. Petigura et al. define the habitable zone (HZ) first in a big, blue box on their first page as “where conditions permit surface liquid water.” Later, more verbosely, the HZ is “the set of planetary orbits that permit liquid water on the surface.” Many different authors in previous papers used similar definitions. However, no precise definition of a HZ is universally accepted. Petigura et al. mainly use the aforementioned region of 0.5-2.0 AU for simplicity; the original definition for the Sun was 0.95-1.37 AU (i.e., between Venus and Mars), considerably more conservative. Because the boundaries of the HZ are so fluid, Petigura et al. calculate abundance statistics for four different definitions of the HZ. An Earth-sized planet in the habitable zone, in their argot, is an “Earth-like” planet. These terms are useful shorthand, but, awkwardly, planets in the “habitable zone” aren’t necessarily habitable and “Earth-like” planets certainly aren’t all like Earth—in the sense of oceans, continents, and critters. Astronomers are all too aware of these niggling caveats, but they typically don’t enumerate them in exhaustive detail. The habitable zone, as originally defined, is only benevolent to planets identical to Earth. For instance, Earth might survive if you nudged it a little closer to Venus (say, to 0.95 AU), but Venus wouldn’t become habitable even at 1 AU. (Venus is the planet of death, with a thick carbon dioxide atmosphere and surface temperatures high enough to melt lead.) Nowadays, it’s even more confusing—people invoke utterly different atmospheric compositions to expand their definitions of the HZ. At 2 AU, for instance, oceans would freeze on Earth, but maybe not on a planet with a thick hydrogen atmosphere and thus a high greenhouse effect. Fundamentally, planetary habitability depends on chemistry and the stochastic process of planetary formation and evolution. Moreover, virtually all astronomers agree that life may thrive in many exotic environments, like the oceans of icy moons and planets lost in interstellar space, that are outside any contemporary definition of the HZ. We might learn that nearly all Earth-sized planets in the HZ are actually inhospitable. But maybe, just maybe, some of these candidates are clement, and the golden age of discovery for which we’ve been hankering will have arrived. 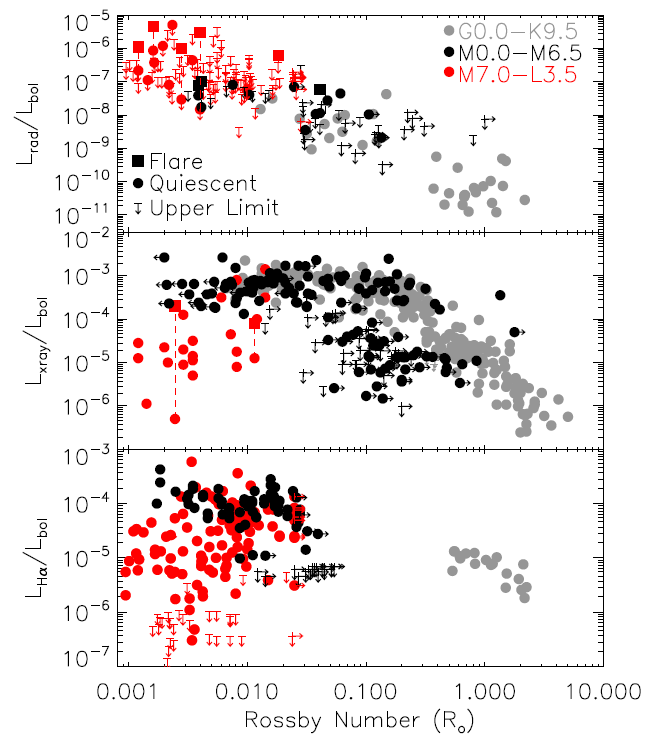 The Radio Activity-Rotation Relation of Ultracool Dwarfs TRAPPIST-1: Just right? Planets Get Heat With A Little Help From Their Friends Are Extrasolar Worlds More Likely to Be Water-rich? If it is any help against awkwardness, I prefer the term “Earth analogs”. It implies the map between that set and a set of planets that can have life, or a set that have Earth-like climate (say), without trying to detail it. Actually when I browse the paper, maybe sloppily, they do a good job of distinguishing between Earth-like planets and Earth analogs of Earth-like size (“Earth-size”) and orbit. The idea of complementing tidal HZs for (icy) moons have been kicked around a few years: http://www.astrobio.net/pressrelease/3157/tidal-habitable-zone .